Summer is so nearly here, and if you haven’t planned your sunshine getaway yet, don’t book anything until you’ve read our guide to which traditional summer holiday destinations are offering frankly brilliant value for money this year. From the ever-popular Spanish Costas to hidden gems on the Greek isles and sun-drenched Morocco we’ve uncovered 10 desirable destinations offering unbelievable all inclusive bargains. Don’t leave it too late though, we don’t know how long these deals will stick around for. Generally speaking all of the Costa Brava offers amazing value if you're looking for an all inclusive holiday destination. 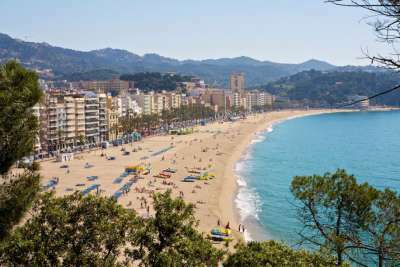 But Lloret de Mar somehow manages to offer the best prices of all, and still spoils visitors with 1.5-kilometre-long Blue Flag Lloret beach, plus four more superb beach specimens in the vicinity. We can think of so many reasons why you'll want to jump on a plane to Salou this summer. First, it's the liveliest spot you'll find on the Costa Dorada. Then there are the golden beaches of Playa de Llevant and Playa Ponent. And it just happens to be right next to Europe's largest theme park, PortAventura. Allow yourself to be tempted to Turkey's Turquoise Coast with these sorts of prices. A holiday in Marmaris can be whatever you make of it. If you're after non-stop nightlife and cocktail bars, you'll find plenty of them. But you can also enjoy a quieter getaway exploring Marmaris Castle and dining at the chic marina. 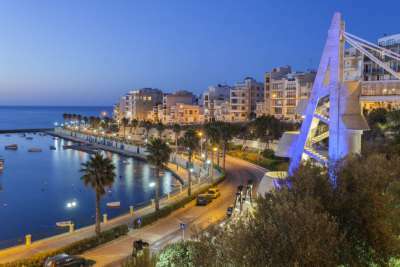 A high-energy fun-filled holiday is the order of the day at Bugibba on Malta. The seafront promenade is awash with hotels, lively bars, playgrounds and dodgems! Snorkelling is popular here - just jump off the flat rocks into Malta's famously clear waters. And Malta's best golden beach is just a 20-minute bus away. If you'd like a quieter holiday than you might expect from Rhodes check out the laid-back resort of Kalithea. Travellers discovered the area in the 1920s thanks to its spring waters, but today the draw is the snug coves and gentle beaches. It's also just 10 minutes from historic Rhodes Town, so a cultural day out could be on the cards. 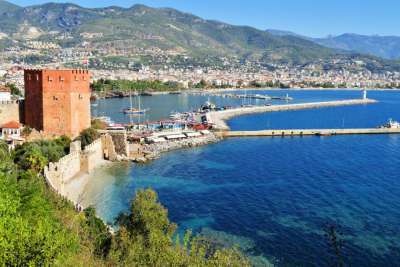 Holiday in the Turkish resort of Alanya to enjoy a getaway that includes 800 years of history with an ancient citadel and a red tower overlooking the beach. Speaking of beaches Alanya has two to choose from, and for a more modern day out you're right next to Water Planet waterpark; it's the largest in Europe! Dassia is backed by hills lined with pine trees and olive groves, and from the Blue Flag beach you'll get a beautiful view of the Greek mainland. It's no overstatement to declare this among the prettiest resorts on Corfu. 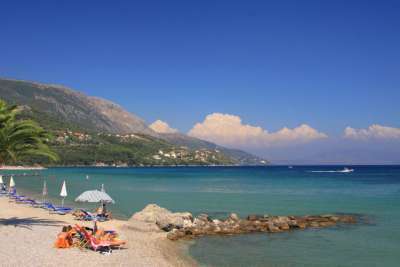 Come the evening you'll find a low-key nightlife here with beachfront bars and welcoming tavernas. If you don't need to be next to a beach, then how about the all inclusive resorts surrounding the Moroccan city of Marrakech? 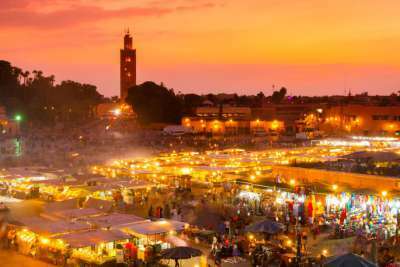 You'll have the glorious sunshine the city is known for, and you can adventure out to wander the characterful streets of Marrakesh medina and haggle in the colourful souks. The Algarve's liveliest resort offers up a main strip buzzing with themed bars and nightclubs, alongside a choice of 25 beaches stretching for miles in either direction. Albufeira is a sprawling resort so you can always find an all inclusive hotel towards the edge of town for the more tranquil Blue Flag beaches. 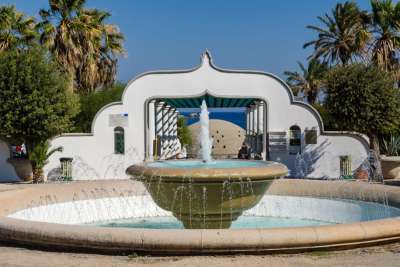 Fuengirola follows the classic Costa del Sol recipe of a high-rise resort brimming with bars and restaurants bordering a sun-soaked golden beach. Fuengirola enhances the mix with an enchanting Moorish castle and an abundance of chiringuitos, small casual restaurants set directly on the sand.